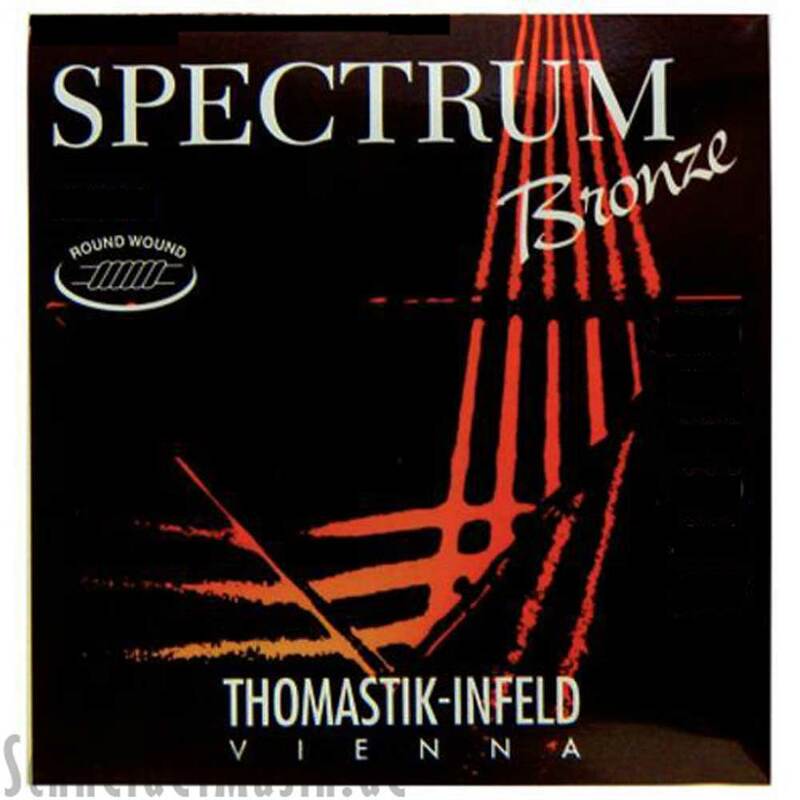 SPECTRUM BRONZE Series - the ultimate acoustic guitar string for recording. Clear, balanced tone, ideal for recording sessions. Deep basses, superb midrange and ultra clear highs. You'll hear and feel the difference in the toughest situations from studio to stage. The treble strings are brass-plated steel, the wound strings have a highly polished bronze covering and are nickel-free.